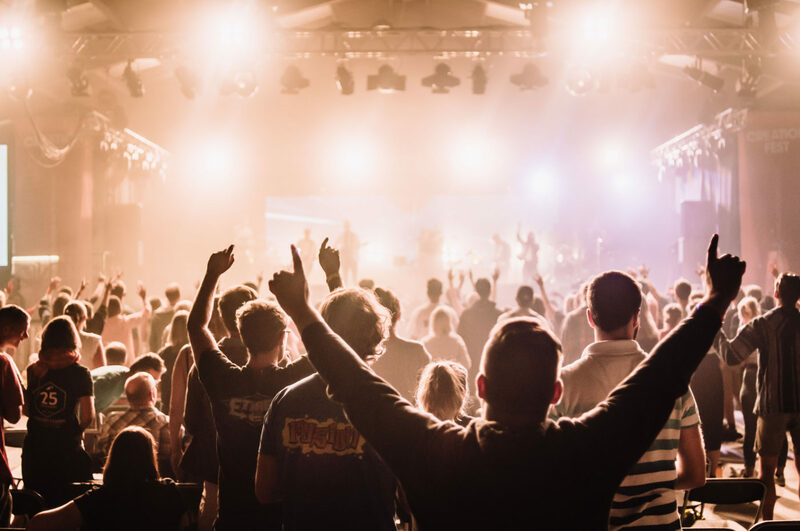 People ask us whether we really do offer something for everyone at Creation Fest, so this month’s blog post is a little sneak peek of just some of the things that you can expect to find at CF19 to cater for mind, body, and soul. And don’t forget, camping booking is now open, so with just over a month to go before early bird rates disappear, now is the perfect time to book in your summer festival fun! Something for everyone? For real? PLUS: Check out Count Everyone In, making worshipping God accessible for ALL, and catch Housefires on their UK tour. Fitness and faith? Oh yes! Daily morning workouts, open gym sessions, fitness-focussed seminars, a 10K run, Olympic weightlifting, rowing sessions and more… The Faith RXD team will be here all week running theFitness Factory, making sure that you stay in tip-top condition, spiritually and physically – all for FREE! PLUS: Check out the Healthy Habits seminar stream with Intentional Health, and watch some tough guys lift weights and talk Jesus with Tough Talk. Whether you’re a Christian wanting to better answer questions about faith or a seeker, sceptic or doubter intrigued by Christianity, Andy Bannister and Kristi Mair will be tackling all the big issues in Real Answers To Tough Questions. From loneliness, LGBTQIA+ and absolute truth to the questionable legacy of the Church, join us as we engage our minds in these thought-provoking sessions! If it’s for everyone, then it truly has to be for everyone. Join us every morning (and some afternoons) at the Showcase Cafe for Count Everyone In, sessions geared specifically to enable our friends with learning disabilities (and anyone else too) to access Creation Fest as fully as possible. Worship, teaching, fellowship and fun for all! Who doesn’t love a bit of Housefires? Back in the UK for their third tour with Big Church Live, there’s something about this incredible group of musicians that is inspiring and magnetic. Best known for their songs ‘Good Good Father’, ‘Build My Life’ and ‘Yes and Amen’, Housefires bring a unique sound and an authentic heart of worship that you won’t want to miss. Catch them in Southhampton, Bristol, Derby, Cambridge, Plymouth and London throughout March! All our latest news direct to your inbox!